Have you ever noticed there are enough Rhodes repair shops around but not a lot of Wurli techs? 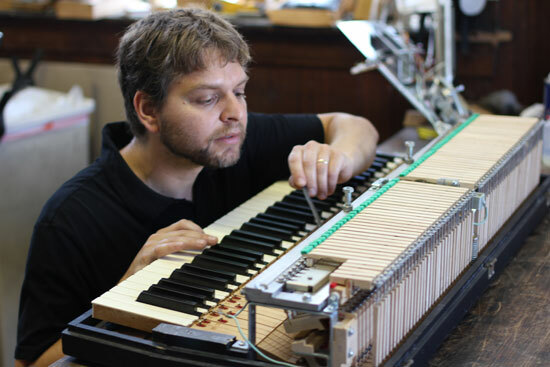 A Wurlitzer is much more closely related to an acoustic grand piano in many ways. It has whippens, jacks, capstans, let of rail, damper levers, etc. A Rhodes in comparison is quite simple. You really need to know what you are doing to properly regulate a Wurlitzer electric piano. Unlike a Rhodes, a Wurlitzer electric piano has an onboard amp/circuit board. It is nice to be able to have powered speakers right in the unit as well as vibrato. The rub – these electronics are rather old and archaic and can need some attention. How do you tune this thing? There is a long learning curve in getting proficient in tuning a Wurli. In order to properly tune one you add or take a way solder on each reed. What does that mean for you? It means – Your Wurlitzer is going to feel like it never has before. Call or Email to set up a time to bring your Wurli in and I will get it back in shape for you no matter what the problem.